Outdoor There are 71 products. 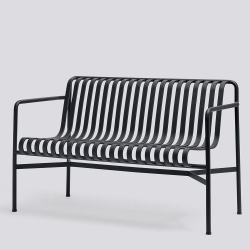 In this category you may find the finest selection of garden chairs produced by the best Italian and international brands. 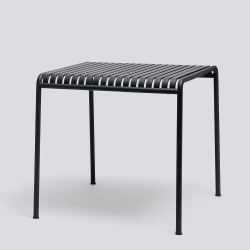 Outdoor table in steel rod. 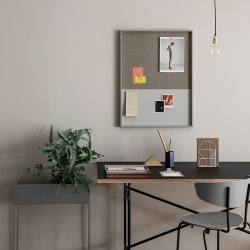 The top is always white; the frame is available in four different colors. Abat-jou made of PMMA rechargeable when plugged in and with a battery life of up to 8 hours. 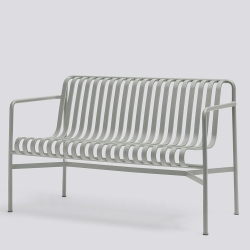 Lounge chair designed by Hee Welling made of a 11 mm strong metal wire. Attila and Napoleon are two stools-coffee table, two charismatic characters that will impress your guests for their originality and unconventionality. 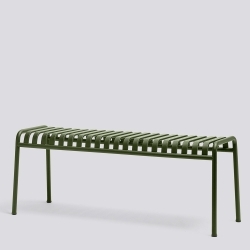 The palissade bench are available in four different colors. 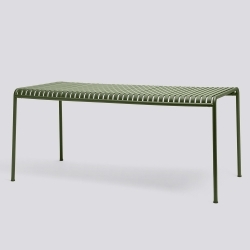 Outdoor table form the One Series., designed by Konstantin Grcic. 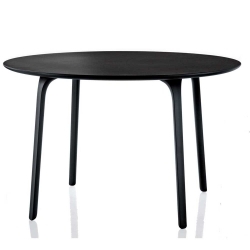 The concrete base in a conical shape characterizes this table. 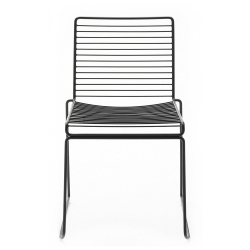 Dining chair designed by Hee Welling made of a 11 mm strong metal wire. 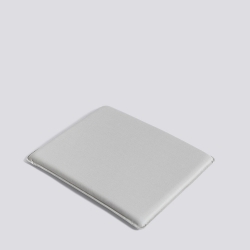 Serving dish belonging to JELLIES FAMILY: complements made of PMMA designed by Patricia Urquiola. 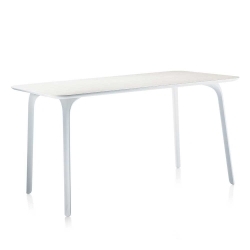 Chair made of aluminum and polypropylene designed by Piero Lissoni. 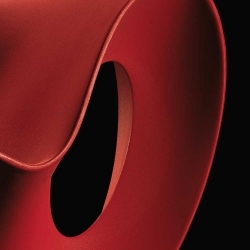 Unconventional chair with soft and sinuous shapes. 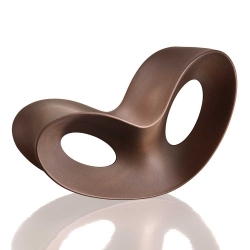 From a Ron Arad’s project. 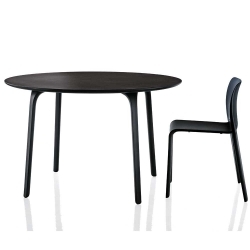 Table part of the collection FIRST by Stefano Giovannoni for Magis. 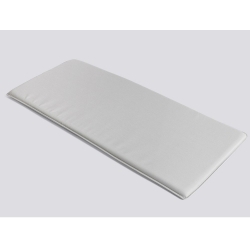 The cushions of the palissade series are available in three different colors and can be used all year round. 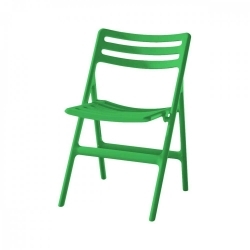 Air molded stacking Chair suitable for outdoor use. Bar stool designed by Hee Welling made of a 11 mm strong metal wire. H 65 cm recommended for kitchen counter. 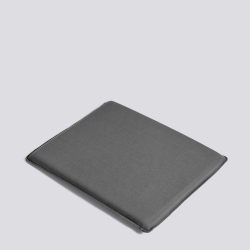 The palissade pouf is available in four different colors. 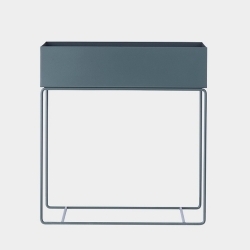 The palissade table are available in four different colors. Bar stool designed by Hee Welling made of a 11 mm strong metal wire. 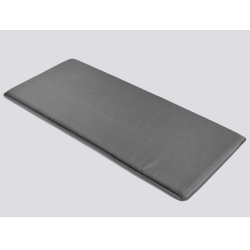 H 65 cm recommended for bar counter. 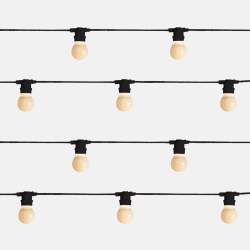 Set of 10 lights “all’italiana”. 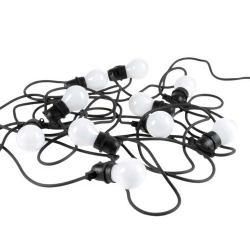 Strip of lights with 10 led lights and weatherproof rubber support for outdoor or indoor use. Led light, long durability and low consumption. 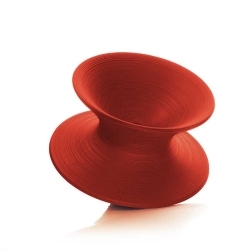 Funny swivel chair, suitable for moment relax and fun. 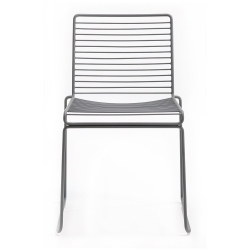 Incredible air molded folding Chair, designed by Jasper Morrison it’s suitable also for outdoor use. 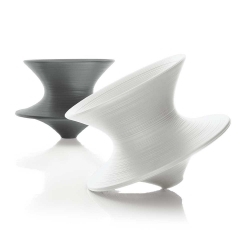 In addition to the stools, the vases are also available in several colours. The elegance of the design, colours and material sets these vases apart, making them ideal for creative and original decoration and to personalise any setting. Stools completely transparent in precious vase shapes. 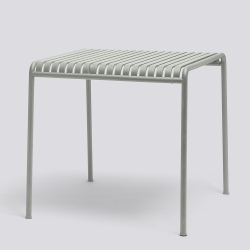 La Bohème stools suit any place, from the living room to the garden, on the balcony and in the kitchen. Dessert plate belonging to JELLIES FAMILY: complements made of PMMA designed by Patricia Urquiola. Plate belonging to JELLIES FAMILY: complements made of PMMA designed by Patricia Urquiola. Soup plate belonging to JELLIES FAMILY: complements made of PMMA designed by Patricia Urquiola. Cup belonging to JELLIES FAMILY: complements made of PMMA designed by Patricia Urquiola. Carafe belonging to JELLIES FAMILY: complements made of PMMA designed by Patricia Urquiola. Glass belonging to JELLIES FAMILY: complements made of PMMA designed by Patricia Urquiola. The "Calice" vase belongs to the collection "Kartell goes Sottsass - A Tribute to Memphis" launched in 2015 as a tribute to the movement founded by Ettore Sottsass himself. The Jellies family tableware line has been expanded to include new items designed especially for the Christmas holidays and for ringing in the new year. The Jellies champagne flute and oval tray will be introduced. Set of 4 champagne flute. 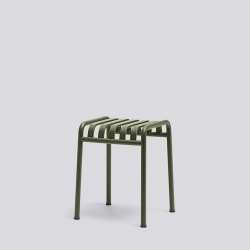 The Column stool is part of the "Kartell goes Sottsass - A Tribute to Memphis" collection, launched in 2015 to celebrate the movement founded by Design Master Ettore Sottsass. 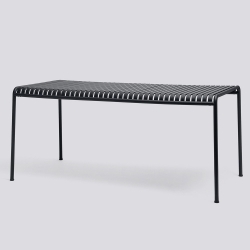 In this category you may find all the necessary furniture for your garden or terrace. This category contains everything you need for your garden or terrace. Whether it's a small balcony, a terrace or a garden: for every outdoor space is important to equip it with chairs, tables, ottomans, couches and whatever else you need to enjoy alone or with friends your free time. With the arrival of summer, the outdoor space need to refresh their look and be dressed up. In this category you will find all products designed specifically to withstand the sun and weather. 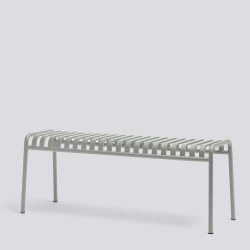 In our dedicated catalog you will find a wide range of solutions for every need, in addition to offering an exclusive design and outdoor furniture with refined lines, guarantee practicality and durability over time. 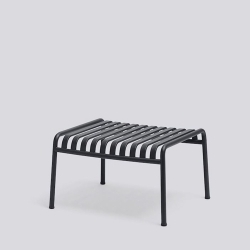 If the inside of our homes is furnished with taste and style, endless are also the ideas for outdoor furniture: play with the imagination, with the colors, juxtaposed with each other outdoor furniture, mixingf different materials, picturing the result! From ethnic style to the great brands of the Made in Italy: on Designrepublic.com you can find everything you are looking for, in the style that best represents you. Choose your product from all the available in this category: you can be inspired by the images or Refine your search for materials, colors, lighting type, style, designer. For every budget and from all the major companies.